Based in Sydney’s west, Pioneer Pest Control services both residential and commercial properties throughout the Penrith region. We are a community-minded business with a range of quality services, and we employ the latest in cutting-edge technology and eco-friendly products to keep your home or business safe and pest-free. 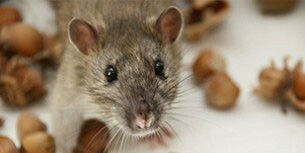 Our experienced staff can assist with both regular and emergency pest control. Penrith businesses or homeowners are welcome to call us 24/7, and we’ll be with you as soon as possible. We can detect and eradicate pests quickly, effectively and above all, safely. 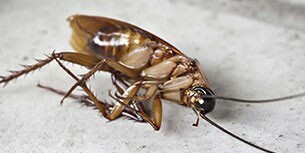 If you have discovered any sign of pests – cockroaches, mice droppings, or termite damage – then the best first step is to call immediately. Unfortunately where there is one, there may often be many more, and fast action may help prevent major damage – and costs. Termites are a significant issue for home or property owners and despite the general belief that they attack only wood dwellings, these insidious creatures can also attack wall linings, wiring, carpet and a whole range of contents ranging from furniture to artwork and even clothing. 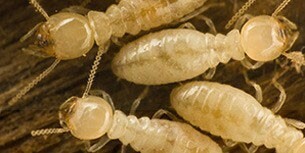 The NSW Department of Fair Trading advises all property owners to be pro-active when it comes to termites. We can confirm the presence of termites if you suspect the pests may be present, but also assist with regular checks to help keep them at bay before any damage is done. Pest treatments have evolved over the years and instead of harsh chemicals, we can now combat all manner of pests with environmentally-friendly products that are safe for your family and pets. We also use a very clever and effective technology called Termatrac. It’s a radar, thermal imaging technology that helps our technicians detect termites even in impossible-to-access areas. Termite activity can be located quickly, easily and with precision, so that treatment can start ASAP. Our tools are only one aspect of our quality service, which comes with over 30 years of experience. We have a thorough knowledge and understanding of the pest industry and we embrace proven, new technologies and products to help ensure your home or business is protected. If you’re looking for termite inspections or pest control in Penrith, then the best first step is a consultation. We have competitive pricing and the knowledge and experience to get the job done, and we provide free advice and quotes 24/7.